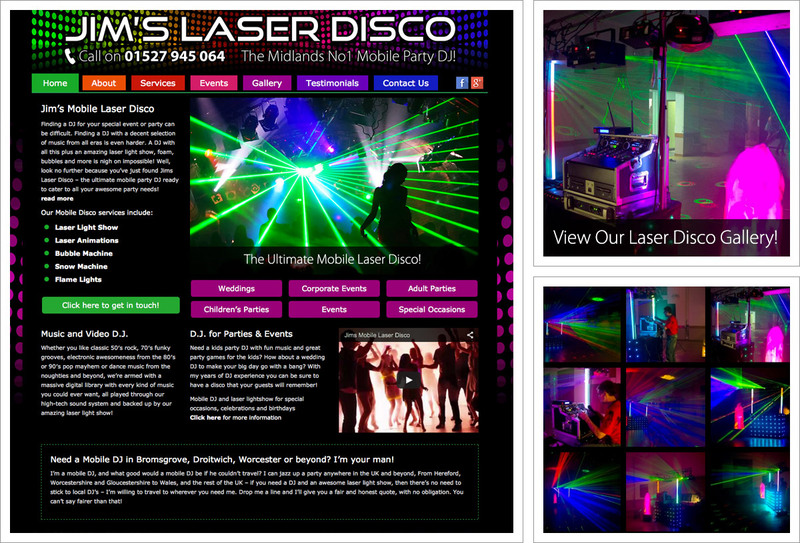 Dramatic graphics and images on a striking neon disco background designed to get you in the party mood. The website includes home, about us, services, events, gallery, testimonials and contact us which is a secure online contact form. “Thank you very much for the excellent job you have done on designing my new web page, great results as the work is coming in fast and people are well impressed with the new web site.